We've all been there before. You're somewhere and you wish you could be somewhere else; anywhere else. Whether you're in class being triggered by something that the professor just said, or you're in a work meeting that is so overwhelming that you just want to run away, or you're out with friends who are discussing a topic that you just don't want to discuss. These are all situations where getting up to leave might not be appropriate and might draw more attention to yourself than you want. So, what can you do? How can you escape these situations mentally without escaping them physically? What do you feel against your skin? The more details that you can think of for each question, the better. Each detail makes the place feel more realistic and more calming. There are a few tips and tricks that you need to follow in order to get the best effect from this technique. Firstly, start this technique when you are somewhere calm and quiet. Create your happy place in your head and then practice it each day while being somewhere calm and quiet. Once you have committed your happy place to memory, you can start using this skill while in more stressful situations. 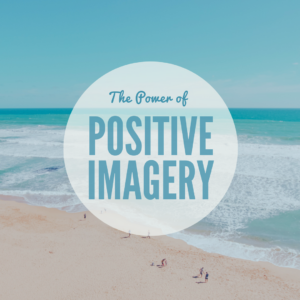 Positive imagery is just like any other relaxation skill; you need to practice it often and consistently in order to see it's effects. Secondly, try not to change your happy place or think of a new happy place each time that you are stressed. It will be hard enough for you to recall the happy place that you have been practicing in those moments and close to impossible to create a new one when under stress. Just like trying to put out a fire, you go with what you have been practicing rather than improvising in the moment. We regularly use this relaxation skill in our work with clients and continue to accept new clients from Illinois (Chicago), California (Los Angeles, San Diego, Orange County, Santa Barbara, San Francisco, Sacramento), and outside of the USA (Canada, Australia, New Zealand, England, Ireland, Scotland, Wales, United Kingdom, Germany, France, Spain, Mexico).